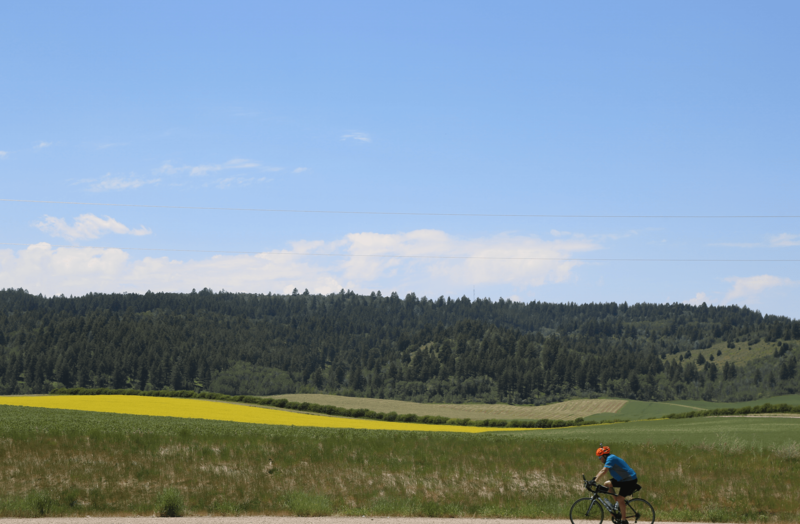 Want to see what’s it’s like to be Mark and flying down Highway 26 in Idaho today? Then watch this video! (Read more about Day 17 on Mark’s blog post here). (Note from Melody: I love this pic of Mark passing by some fields with yellow things in them– very, very pretty and definitely not as scary as the video above). Long hot day! Didn’t get much done today other than follow Mark and bring him food and water (and worry), but I did manage to edit the video above. 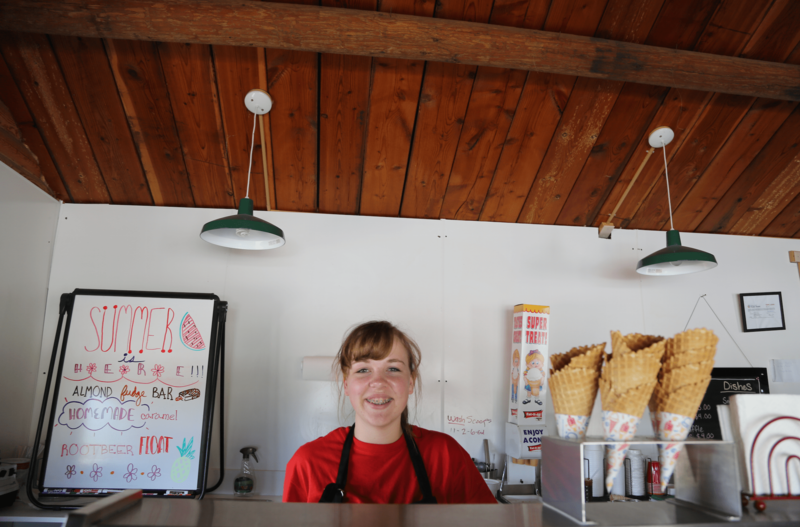 Also met this sweetheart of a gal in an ice cream shop in Swan Valley. This is Kiersten’s her first job ever, she’s in a rock band and she’s a triplet. Oh, and she’s a Mormon, too. What makes her feel alive? Playing her electric bass guitar! Okay, Mark, I was air-gripping the brakes all the way… I am a much more cautious bicyclist than you….. Tune, did you ask Kiersten how her band got its name? Again… You are not allowed to go that fast!!!! Highway, rumble strips, debris on the road . Thought if you today while I was biking along Lake Erie near Cleveland. Flat and beautiful. This is my own,my native land!!! I hope he finishes strong!